734 sq ft - MLS# 40861048 Courtesy of J. Rockcliff Realtors Inc. Welcome to Marina Bay Northshore, a serene bayfront community ideal for outdoor lovers. Sun-filled 1 bedroom, 1 bath unit features an open floor plan, vaulted ceilings, living/dining room combo, spacious kitchen with LED light, sleek cabinets and breakfast bar, bright owner's suite with dual wardrobe closets and in-unit laundry. Relax on the balcony overlooking the garden courtyard with built-in bbqs and picnic tables. New interior paint, newer linoleum flooring, newer neutral carpet, newer water heater. Quiet, gated community with designated covered parking and and elevator access. 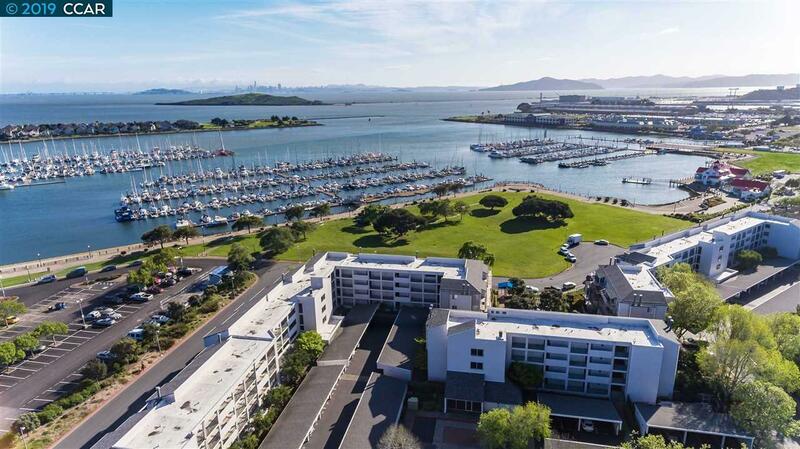 Best Marina Bay location across from Marina Park, Marina Bay Harbor and SF Bay Trail to enjoy cycling, sailing, running and walks along the panoramic coastal shoreline. Armistice Brewing, Rosie the Riveter/WWII Home Front National Historical Park, Anh Vietnamese Kitchen, Starbucks and more nearby. Great for commuters - near freeway, 2 miles from Bart/Amtrak and 1 mile to the NEW Richmond Ferry Terminal.